I am very laboriously trying to teach myself to do tubular peyote. I’ve recently seen some examples of it at Ruby’s site (also bookmarked to the side) and fell in love. Unfortunately, I’ve got this block against having whatever I do turn out looking good. So far, I’ve dismantled the bitty pieces I’ve worked up 3 times only to start over. Last night I cut two pieces of different diameter dowels to use and today, after work, will hie myself off to the hardware store across the street to purchase a little bit of rope. I think the rope is going to work better incorporated into a watchband than a dowel will. 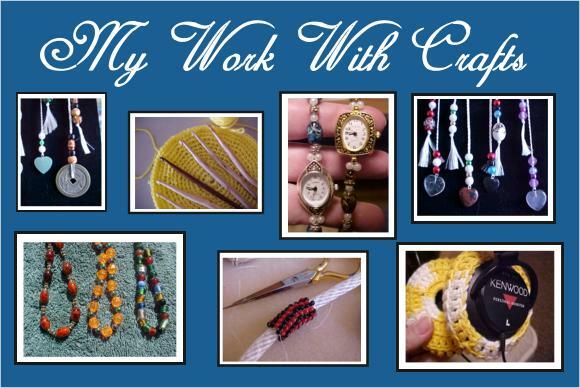 I finally found some directions that I could follow at my beadchat group forum at Yahoo. Anyway, I will continue to work doggedly at the project because I think watches made with this stitch are going to be really pretty.